Frijns set a 1m09.221s effort after the checkered flag had flown to leapfrog Nissan e.dams's Oliver Rowland, who had topped the opening session with a 1m09.283s lap. 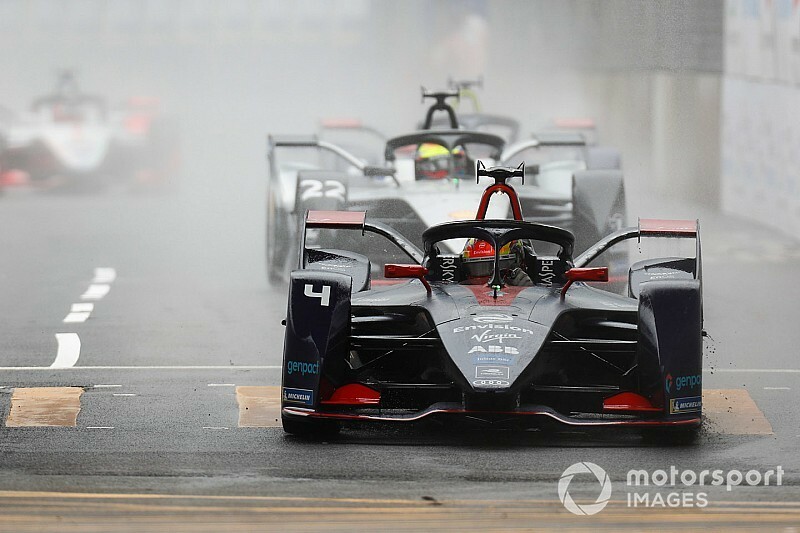 The second practice had looked set to produce slower times because of a downpour between the running, and only Frijns was able to beat Rowland's first session benchmark come the end of practice. 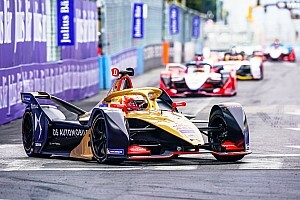 DS Techeetah's Andre Lotterer ended up third ahead of Edoardo Mortara, who had completed just five laps going into the second half of the session after he stopped on track moments after second practice began. 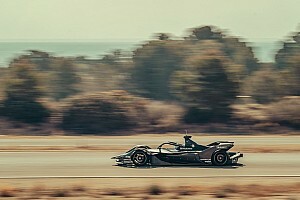 The Venturi driver eventually added further laps to knock Sam Bird into fifth after the Virgin driver made contact with the wall in the first session. Jean-Eric Vergne was sixth after admitting on Saturday that he did not fully understand his DS Techeetah's handling. NIO's Oliver Turvey climbed from the bottom rung of the timesheets to go eighth ahead of Gary Paffett. 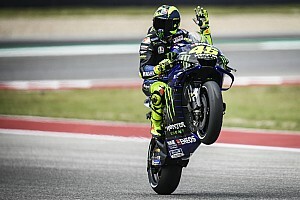 The HWA driver had held the top spot heading into the final four minutes before he was shuffled down the order following his first session drivetrain problem. 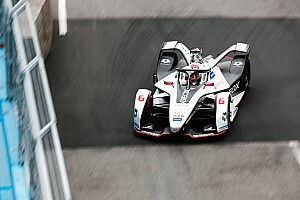 Audi's Daniel Abt rounded out the top 10 ahead of BMW Andretti's Alexander Sims, teammate Lucas di Grassi and Venturi's Felipe Massa. A flurry of late laps meant NIO's Tom Dillmann dropped from fourth to 14th ahead of Stoffel Vandoorne. Championship leader Jerome d'Ambrosio featured in the lower end of the time sheets in both sessions and finished practice in 20th, with his Mahindra teammate Pascal Wehrlein in 17th. 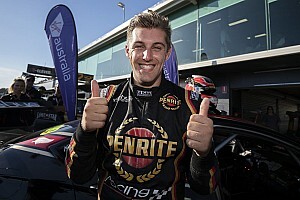 Mitch Evans caused a yellow flag after a suspected driveshaft problem caused him to pull off track at the Turn 6 hairpin. The Jaguar driver ended second practice in 21st some 5.476s up on Dragon Racing's Felipe Nasr who completed just three laps.